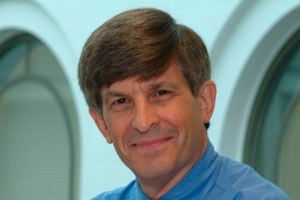 Distinguished History Prof. Allan Lichtman, who countered the conventional wisdom to predict that Donald Trump would win the 2016 presidential election, has a new forecast about the American presidency. In "The Case for Impeachment" (Dey Street Books), his fifth solo-authored book, Lichtman analyzes President Trump's past business dealings and public statements, alongside the history of politics and impeachment in the U.S., to explain how Trump's presidency could end prematurely. Lichtman also uses constitutional analysis to show how Trump is uniquely vulnerable to impeachment in eight key categories, including conflicts of interest, dealings with Russia, and Trump's views on climate change. In a unique twist on impeachment law outlined in the book, Lichtman outlines how Trump could be impeached under a "crimes against humanity" scenario if he deliberately fails to protect humanity from the dangerous effects of climate change. Lichtman has correctly predicted every presidential election since 1984. His formula, based on the idea that presidential elections are a referendum on the party that holds the White House, is explained in his book, "Predicting the Next President: The Keys to the White House." The formula consists of 13 true/false statements, or keys, that can be turned for either the party in power or the challenger. If eight or more keys are true for the incumbent party, its candidate will win the election, but if fewer than eight are true, the challenger will win. Using this formula, which does not involve polling data, Lichtman correctly predicted that Trump would beat Hillary Clinton last year.